NSF-MSGI participant Zhishen Huang’s research at Sandia National Labs could help improve scientists’ understanding of quantum sensing. Because modern physical experiments rely on measurements with high levels of exactness, such as the recent detection of gravitational waves at the Virgo and Laser Interferometer Gravitational-Wave Observatory (LIGO) detectors, quantum sensing could play a profound role in scientific breakthroughs. Zhishen “Leo” Huang’s intensive training in math at a young age fueled the passion for the learning that drives him today. 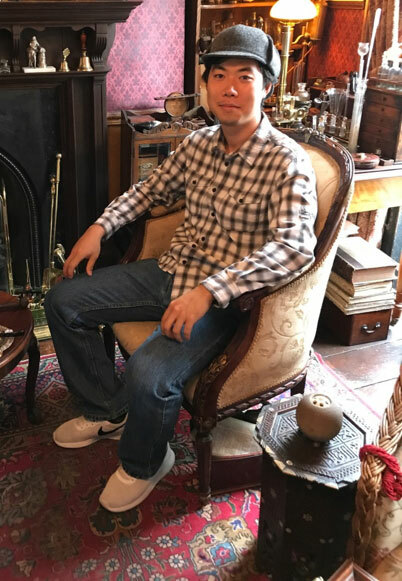 “The more I learn, the more I discover what I do not know,” said Huang, a third-year doctoral student in applied math at the University of Colorado Boulder and a recent intern in the National Science Foundation’s (NSF) Mathematical Sciences Graduate Internship (MSGI) Program. At Sandia National Laboratories in Livermore, California, Huang tapped his enduring interest in science, technology, engineering and math (STEM) to help advance knowledge in quantum sensing. Quantum sensing uses microscopic physical systems, described by quantum mechanics, to measure physical quantities with high accuracy and resolution beyond classic measurement methods. These physical quantities include magnetic fields, time, temperature, pressure, rotation and acceleration. Quantum sensors capitalize on the central weakness of quantum systems: their strong sensitivity to external disturbances. Quantum sensors detect tiny variations of physical systems. A famous example of existing quantum sensors is the atomic clock, which offers unprecedented timing precision. “Ultimately, quantum sensing has the potential to fundamentally transform our measurement capabilities, enabling higher sensitivity and precision and new measurement types covering atomic up to macroscopic length scales. Given time, quantum sensors may find their way into both high-end and consumer devices,” said Huang. However, before a quantum sensor can be functionally employed in any scenario, scientists must first develop reliable mechanisms to measure and analyze the quantum system utilized within a quantum sensor. Sensors serve as the probing mediums for physical quantities like magnetic fields. According to Huang, this can be tricky, given principles of quantum mechanics that observation of a quantum system fundamentally changes that system. In other words, if an observer makes a measurement of the transmitting medium, the quantum system detected by the medium will change. Strong measurements may irrevocably change the quantum system and derail the trajectory of the quantum system’s dynamical evolution, or how the positions of photons within that system change over time. Weaker, less intrusive measurements may not, but may provide only limited information. Under stochastic master equation, the dynamical evolution of physical quantities, such as position or momentum of a quantum system, exhibits noise or irregular fluctuations. Huang, with guidance from quantum physicist Mohan Sarovar, Ph.D., tested a smoothing mechanism theorized by fellow scientists to “smooth” out the noisy pattern and improve accuracy of the detection. “The purpose of my research was to apply this smoothing mechanism system to see if we could use weaker detection to obtain more accurate information about the quantum system during dynamical evolution,” said Huang. “During my research, I discovered a protocol that may help experimentalists monitor unexpected disturbances during a quantum system’s examination, which could one day be adopted into the design of a quantum sensor for anomaly detection purposes,” said Huang. Huang and Sarovar plan to submit a paper to scientific journals in the coming months. The research process was taxing at times, but Huang excelled under Sarovar’s guidance and the encouragement of fellow scientists. Overall, it was an experience he would highly recommend.